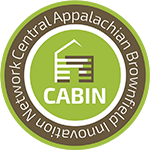 Through the Redevelopment Expert Exchange, CABIN hosts webinars on redevelopment topics to reach communities across Appalachia on issues important to them. See the schedule below to register for an upcoming webinar or view recordings of previous webinars in the Archives. WVU BAD Buildings provides a primer on abandoned and dilapidated buildings. Learn about this community-driven, volunteer-led model for inventorying, analyzing, prioritizing, and addressing blight in your community.